Evidence from ecosystems around the world suggests that jellyfish blooms are increasing in terms of frequency and severity most likely due to human activities such as overfishing, habitat modification, and species introductions. Although jellyfish have some positive benefits to humans in terms of food production and the aquarium trade, most of the impacts negatively affect human endeavors such as fishing, tourism, and power generation. 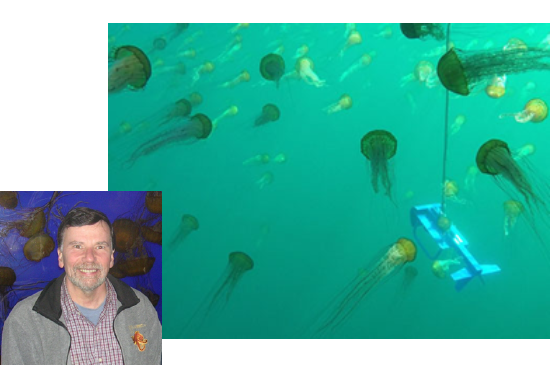 I will discuss the evidence for increasing jellyfish populations and their potential impacts from examples in several ecosystems and the attempts to control these populations or minimize their negative impacts.